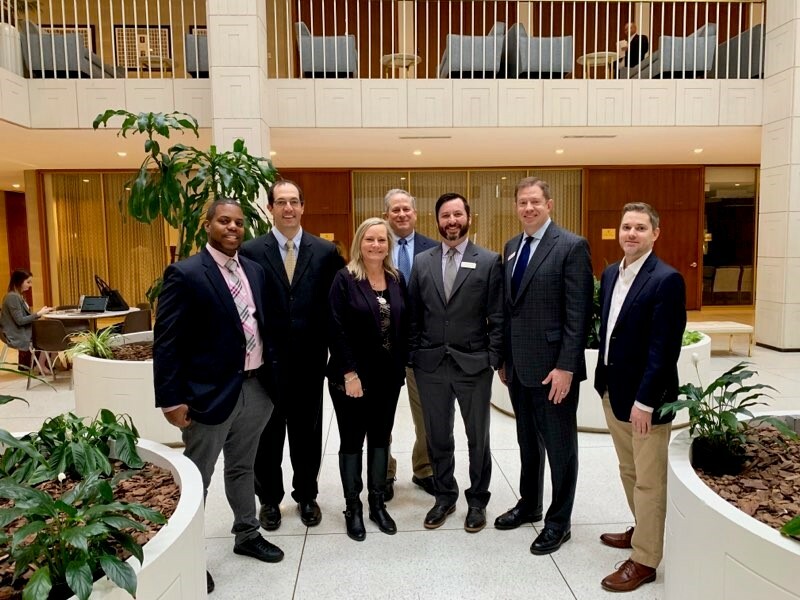 RALEIGH, N.C. (March 12, 2019) – North Carolina Building Performance Association (NCBPA), the state’s trade association for building performance companies and professionals, announced today the success of its annual Industry Lobby Days last week in Raleigh that led to yesterday’s filing of House Bill 330 the “Efficient Government Buildings & Savings Act” of 2019, the association’s top legislative priority. Enabling legislation that increases the energy and water savings goals for public buildings from 30% and 20% by 2015 to 40% and 30%, respectively, by 2025. Enabling legislation that adds an Energy professional seat to the North Carolina Building Code Council. Modifying exemptions to North Carolina’s energy code for residential garages, new and existing commercial buildings. “Legislators want to be helpful to their constituents and hear solutions directly from those impacted by the legislation they create,” said Eric Stabasefski of Cambium Contracting , Co-Chair of NCBPA’s Policy & Legislation Committee. “As building performance professionals, we need to have a presence here at the legislature and inform our representatives about what we need to be successful, which in our case, returns energy, water, health, environmental and many more benefits to citizens and businesses across the state,” said Stabasefski. The association’s top legislative priority for 2019 is to enable the “Efficient Government Buildings & Savings Act” of 2019 with primary sponsors Rep. John Szoka (R-45), Rep. Dean Arp (R-69), Rep. Stephen Ross (R-63) and Rep. Chris Humphrey (R-12). Filed last night, the legislation is anticipated to avoid nearly $1.1 Billion in utility costs between 2018 and 2025 and net North Carolina taxpayers $252 Million in savings by establishing new energy and water conservation goals for public buildings of 40% and 30%, respectively. The prior goals of 30% and 20% by 2015 resulted in more than $1.4 Billion in taxpayer savings since 2003 through roughly $60 Million of state funding. “The long-term benefits our industry receives by establishing supportive relationships with policy makers is invaluable,” said Alysa Watkins of Schneider Electric . “What’s important is that you speak from the heart, provide data-driven evidence to support your position and make sure the net impact to North Carolina’s citizens is a good one. Building performance and energy efficiency do just that,” said Watkins. Lobby Day participants wrapped up their busy schedule with a meeting at the office of Governor Roy Cooper to discuss legislation that advocates hope will make it to the Governor’s desk during the 2019 session. The energy and water savings goals provided in the ” Efficient Government Buildings & Savings Act” more closely align with those provided in Governor Roy Cooper’s Executive Order #80, which last October directed cabinet-level public buildings to reduce energy consumption by 40% by 2025. “Our summary message of ‘Energy Efficiency First’ is easy to understand and just makes sense,” said Ryan Miller, NCBPA’s Founder, Executive Director and Principal Lobbyist. “We’re not asking for money. We’re not asking for mandates. We’re forming innovative policy strategies that North Carolina can implement to achieve a 16.8% reduction in energy usage through short-term cost-effective projects and long-term strategies with buildings, which account for 65% of our state’s total energy usage. This bill is a big step towards our goal,” said Miller. 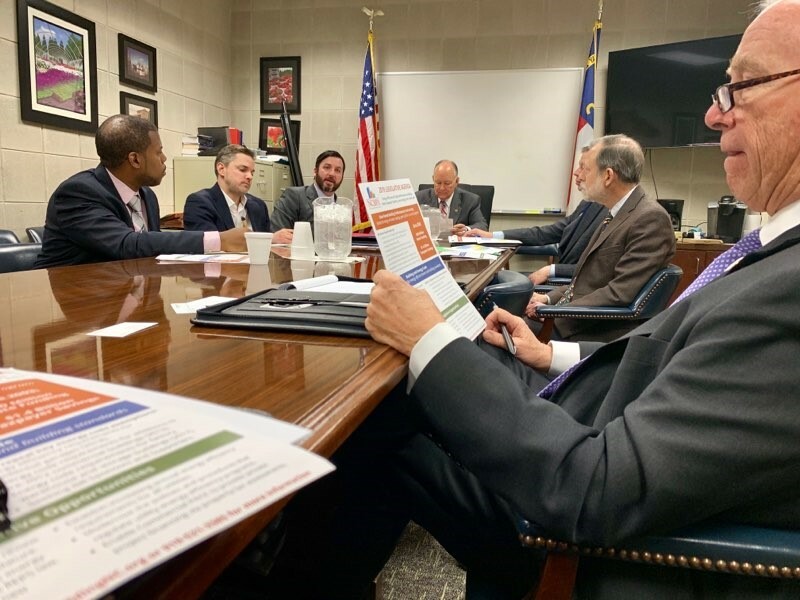 Click here for more information on NCBPA’s 2019 Industry Lobby Days including more photos with legislators and quotes from member professionals about their experiences. North Carolina Building Performance Association is a not-for-profit 501(c)(6) trade association serving North Carolina’s building performance companies and professionals with education, member services and industry advocacy. The association proudly represents North Carolina’s building performance industry, which generates more than $15 billion in annual revenue, includes more than 1,250 companies and employs more than 50,000 workers.